This book describes how various types of taxes -- such as VATs, corporate income taxes, retail sales taxes, and excise taxes -- are being modified to achieve environmental goals. The author gives particular focus to situations in which taxes are imposed on imports and where rebates are granted when domestic products are exported. These taxes are evaluated with respect to exceptions to GATT and how these exceptions can be used to create powerful tax initiatives even though they might be considered `GATT-illegal'. The book shows how to integrate economically effective environmental taxes and tax subsidies with the major international trade treaties. Tax initiatives can be an important tool to improve the free trade system and combat environmental decline. 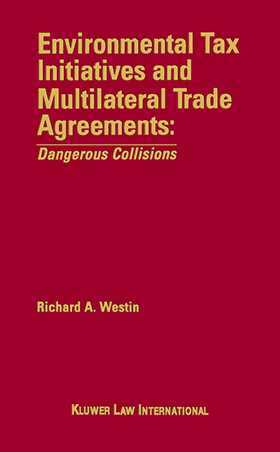 Manufacturers, exporters, tax and environmental policymakers, international trade and tax attorneys, and academics working in the fields of environmental regulation, trade policy, and taxation will find this work a provocative treatise on a topic of growing importance.